Dropped catches do affect the fielding side, but have you ever seen it other way round? It did happen today and the victim was none other than Rahul Dravid. What happened was that VVS Laxman hit the ball straight towards the bowler who (cleverly?) dropped the catch and the ball was travelling so fast that it went on to hit the stumps. 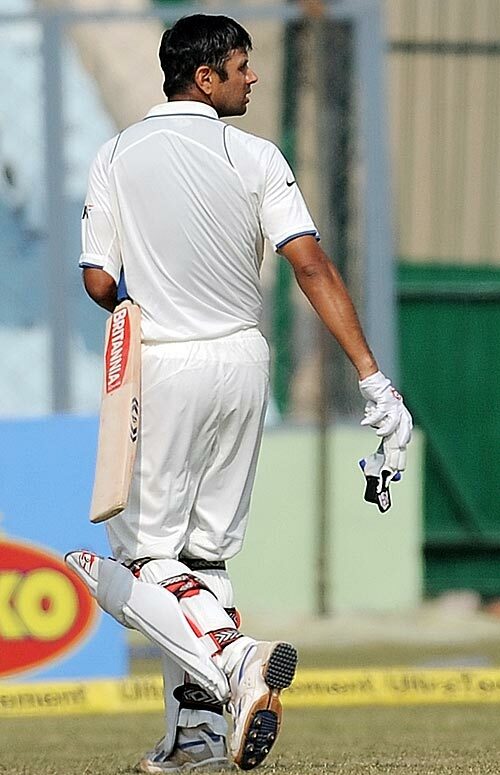 At the non-strikers end was Rahul Dravid, who had few milliseconds to react to save himself, but he couldn't. Probably that's the only way he could have got out today. All VVS Laxman could do was watch his partner return to the pavilion in frustration.Rahul added 59 to his overnight score (at Strike rate of 80). Fortunately, Rahul's wicket didn't hamper the dominance of team India in this test match.Laxman with fine 63 and Yuvraj with aggressive 67 took the score past 600. 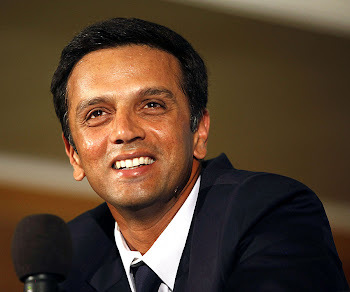 What did Rahul Dravid achieve today? 1.He went past the great aussie batsman Alan Border to place himself 4th in the table of highest run scorers in Test cricket. I consider this as the most unfortunate way of getting out in any form of Cricket. Especially, when it comes to Test Match Cricket, you do a loads of job not by scoring the runs, infact you have the chance to read the pitch conditions, the bowlers, and then you carefull structure your innings. That is why it is called as " Test Match Cricket ". You are tested mentally and physically as a player. After you spend a good amount of time at crease and try settling down, suddenly you come across these sorts of shots come and you lose your wicket for no reason i.e, neither you have the brilliance of the bowler nor you err a bit which is really unfortunate. 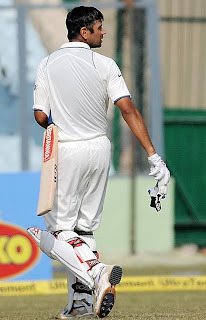 I was more frustrated than him with the way he got out.He was playing superb innings (Strike rate around 80).